Watch the CPBC news' report - "Respect Domestic workers' rights"
"The domestic workers are not receiving the treatment as workers even though they make a big contribution to the family and society, especially migrant domestic workers are treated as modern slaves." "The message I would like to convey to you here is that I did not know that there was no labor law provision for domestic workers in Korea until I came to Korea for the first time. 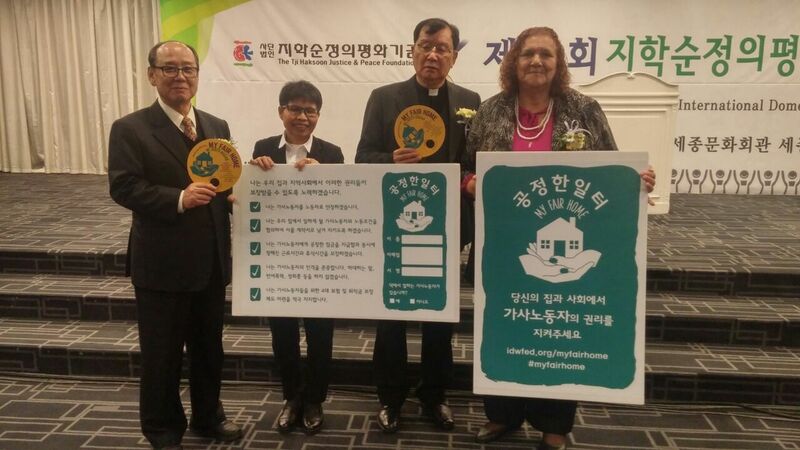 I did not know that the rights of domestic workers in Korea are not recognized and respected. You can be proud of the fact that you are here today, and I am proud of your achievements. But I want you to go home and think about what you can do for your domestic workers' rights after tonight." 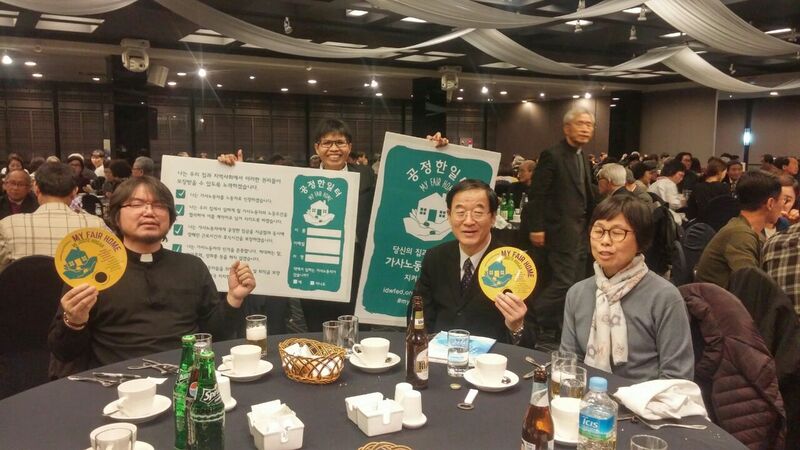 국제가사노동자연맹, 지학순 정의평화상 수상…"권리 존중해주세요"